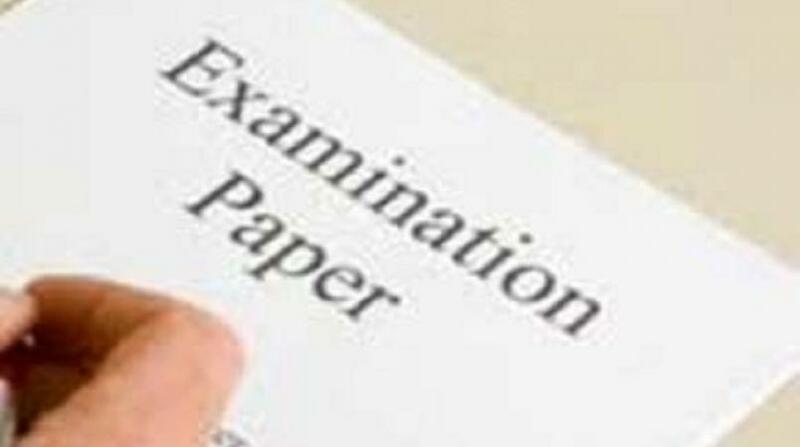 FIVE men were arrested in the Nation’s Capital and are now facing court over allegations that they were selling exam papers prior to the grade 10 and 12 National Exams last year. The five suspects were alleged to have been found in possession of mathematics, business studies and biology examination questionnaires and answers to the business studies paper. They were charged with one count of forgery under section 462 of the Criminal Code Act and one count of uttering false documents under section 463 of the Criminal Code Act, arrested and later released on a K 1000 bail each. The suspects are James Martin, 22 from Liamex village in Kagua District of Southern Highlands, Collins Lepo and Terrence Danny both 21 from Sumbura village of Kagua District in Southern Highlands, Johnny Joshua Kambe, 35 from Uma village, Kagua District of Southern Highlands and Robinson Walito, 44 from Noruwai village of Chimbu’s Karamui District. They appeared today before the Waigani Committal Court. Magistrate Mekeo Gauli adjourned the matter to February 2, as police are still investigating and their bails were extended. Last year, someone posted on several Facebook groups that he sells fake grade 8, 19 and 12 certificates. The Education Department alerted the Police Mobile squad and that suspect was arrested and charged with the same offense.